We are only four games into the 2018-19 Premier League season and Jose Mourinho has already decided he wants to bolster his squad during the January transfer window. 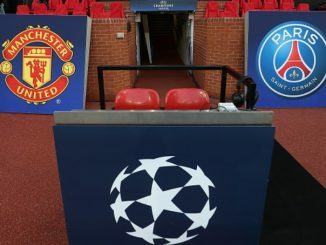 The names have not been decided yet, but recent reports have indicated that The Red Devils would be open to bolster both the defence and the central midfield. The need to add another defender has been a clear once since the summer transfer window, especially considering the sub-par performances from players such as Chris Smalling and Phil Jones. Meanwhile, adding a central midfielder is not really a “need”, but Mourinho would like to have an insurance policy in case Paul Pogba leaves the club. The Frenchman has been linked with a move to either FC Barcelona or Juventus. Even though Mourinho has not decided on which players he wants to target, there are two names that the Portuguese tactician loves. These are Toni Kroos and Lucas Hernandez. Let’s begin with Kroos first. Spanish outlet Don Balon is reporting that The Red Devils want to bring the Real Madrid star to replace Pogba. They already approached Los Blancos in June, but they asked for a €150 million transfer fee. That’s a lot of money, even for someone like Kroos who is widely viewed as one of the best central midfielders in the world. Meanwhile, the 22-year-old World Cup winner Lucas has emerged as one of the best defenders in Europe. He would provide a massive boost defensively in a number of ways. His worst-case scenario is that he would be an excellent bench option who can play at both centre-back and left-back. But chances are he could settle quickly as a starter. He has enough talent to fill any role on defence, and United would be lucky to acquire him. To make things a bit “easier” on Lucas’ front, we can see he has struggled to gain consistent playing time. That would not be the case at Old Trafford. Is there any realistic chance to sign at least one of them? Unfortunately, this is where things get tricky. According to Catalan daily Mundo Deportivo is reporting that Toni Kroos would have no intention of leaving Santiago Bernabeu. Meanwhile, Lucas Hernandez already rejected a move to Real Madrid this summer in order to stay at Atletico, since he has been with Los Colchoneros since he was 11 years old. Apparently, he doesn’t have any intention to leave Madrid, either. Even if he is not playing on a regular basis. “The Special One” will have to indeed make something special if United want to sign at least one of these two players. But things are not looking bright at the moment.